Here is a quick game you can organize with almost no prep! I’m sure you’ve heard of the Birdbox challenge that’s been taking over social media? We posted a video shouting out an amazing church who played this with their young adults group — encouraging people to make a sandwich blindfolded. It was hilarious and border-line genius. 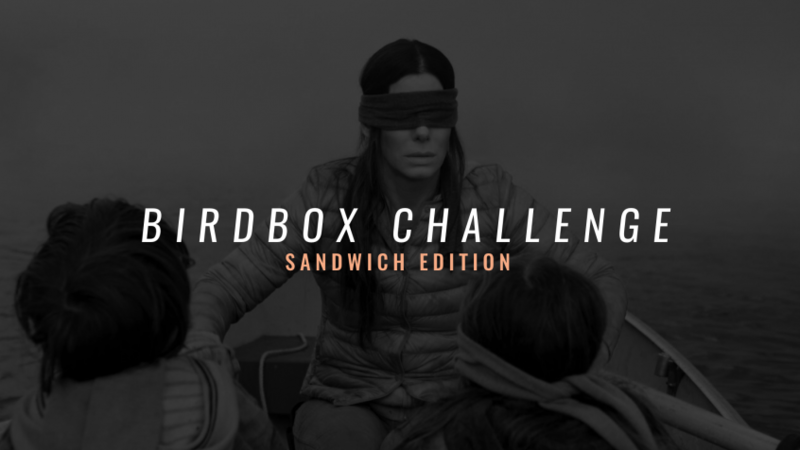 Our team went back and forth and came up with some ideas for playing the Birdbox Challenge with your group! They’re all really easy to put together. — PB&J: Have them put on a blind fold and make a PB&J sandwich. — Shoes: Have student find and put on their shoes while blindfolded. — Text: Instruct them to type a specific text while blindfolded (you can even ask them to type it and send it). If you are going to play this in your group, we made some graphics for you to use! You can download them using the link below: There are two screen graphics graphics and one square graphic for social media. Everything will be ready to download in dropbox. No sign-up required!